Is This Is Us already in danger of losing a beloved character? Sterling K. Brown has won over all our hearts (and an Emmy award) as Randall Pearson on the show, but as it turns out, he has a pretty enticing offer on the table. This is the age of reboots for nostalgic TV shows, and The West Wing might just be ripe for a 2017 remix. 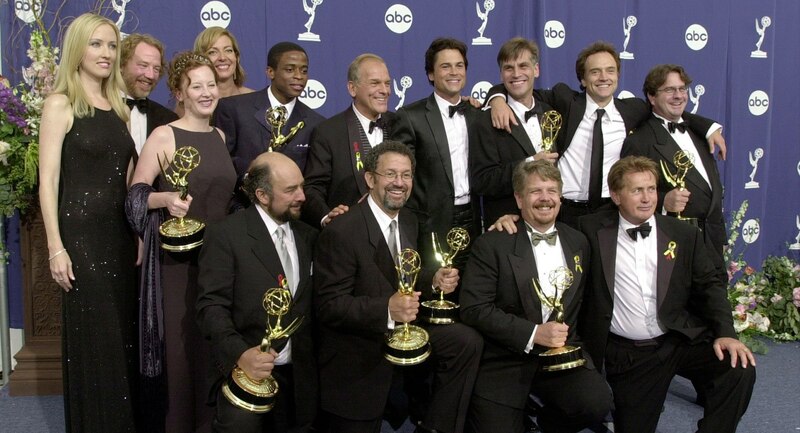 In an interview with The Hollywood Reporter, creator Aaron Sorkin admitted he already has a dream cast in mind should The West Wing be the next show to get the reboot treatment. “[The reboot would have] Sterling K. Brown as the president, and there’s some kind of jam, an emergency, a very delicate situation involving the threat of war or something, and [President] Bartlet [played by Martin Sheen], long since retired, is consulted in the way that Bill Clinton used to consult with Nixon,” Sorkin explained. Um, could this actually happen? Execs at NBC, the network that broadcast the original West Wing, told THR that they’re in if Sorkin is, and it kind of sounds like Sorkin is in. And for that matter, so is Brown. He tweeted a link to the article, letting Sorkin know that while he’s committed to This Is Us, he may not be that committed, you know? Because honestly, who wouldn’t want to play the president? Before everyone gets ahead of themselves here, Ken Olin, who executive produces This Is Us, also made his voice heard, and he is not here for this. We agree that This Is Us needs Brown, but doesn’t the White House need him more? There’s a case to be made, people.